On a winter snowy day, a life-raft is washed up on the shores of the small Swedish town of Ystad. Two dead bodies with bullet-holes in their chests are found inside the raft. From the start it looks like one of those cases that promise nothing but a severe headache for the police officer that deals with it. Inspector Kurt Wallander is called in to investigate the murders. The post-mortem indicates that the two bodies might be Russian or at least from one of the Baltic States. The year is 1991, a time of political turmoil in the former Soviet bloc, Russia is on the brink of a coup d’état and the Baltic countries (Estonia, Latvia and Lithuania) are all pressing for independence. Major Karlis Liepa, an officer of the Riga’s police department, is sent to Ystad to work with Wallander on identifying the two bodies. The same day he returns to Riga, Major Liepa is murdered, soon after Wallander is summoned there to help with the investigation. 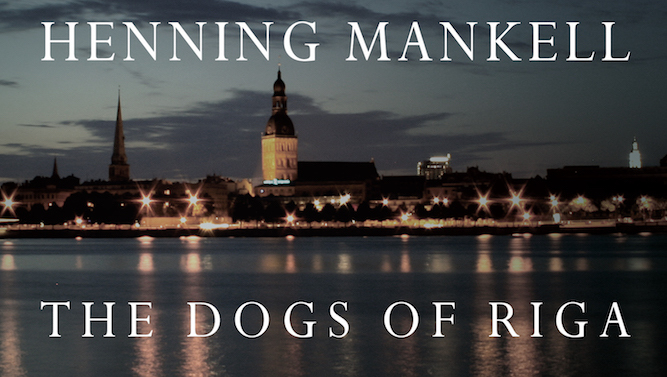 This is what happens in the first part of Henning Mankell’s the Dogs of Riga. The remain of the book deals with Wallander’s attempt to solve the murder of Major Liepa. 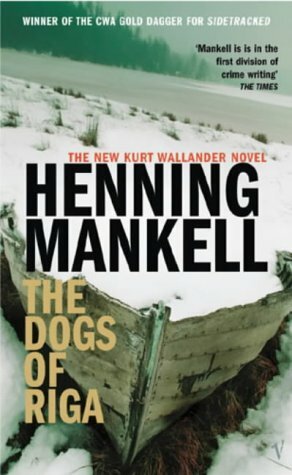 The Dogs of Riga is the first book I have ever read from the nine written by Henning Mankell’s for his acclaimed detective series featuring Kurt Wallander. I found it in a second-hand bookshop in Highgate Village, London. I was alraedy familiar with the characters in the story (at least the ones appearing in the first part, that is in Ystad), as I had recently watched the six episodes of the BBC series based on Mankell’s books. In the TV show, Wallander is played excellently by Kenneth Branagh. After watching those shows, I was so intrigued by Mankell’s creation that I promised myself to read some of his Wallander’s books as soon as I had a chance. So when I came across The Dogs of Riga and read the first pages, I decided to buy and read it. Let me say it straightaway: it is nor the best crime fiction you will ever read, and I guess it’s neither the best in Wallander’s series, but by no means it is a waste of time. The strength of the book is beyond doubt its main lead character, Wallander himself, its greatest weakness, unfortunately, is Mankell’s plot. Kurt Wallander is a middle-aged man, divorced, still in love with his former wife who doesn’t really talk with him anymore; whose daughter moved to Stockholm to study and has become distant; his personal life is not the best possible life; his best friend and colleague passed away recently; he drinks too much and he is a tired of his police work. 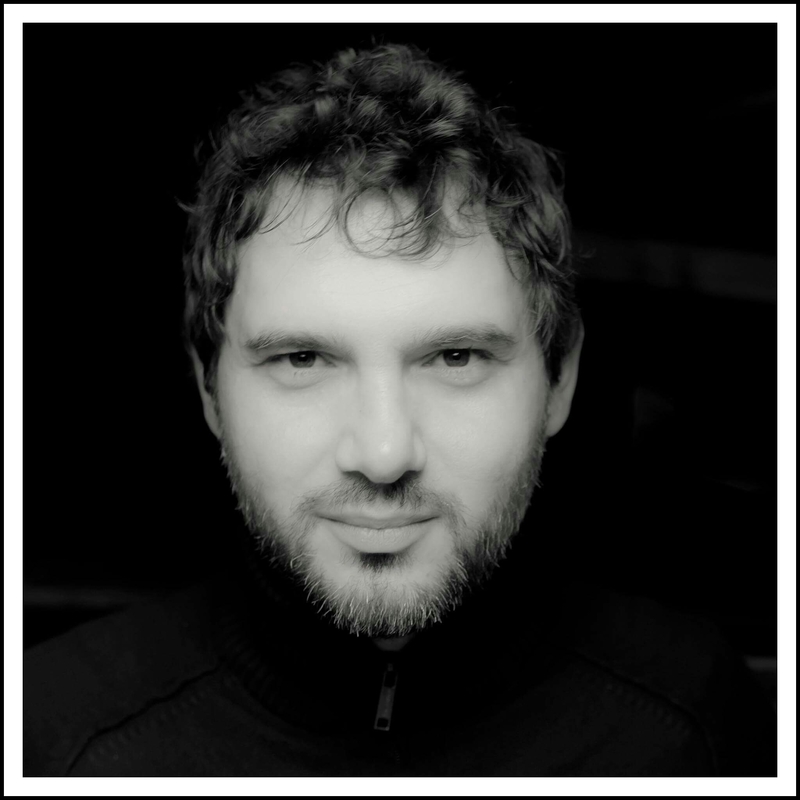 The inspector is also chronically depressed and he often wishes he had a different life. In other words, Kurt Wallander is as far as you can get from the almost super-human crime fighter like Conan Doyles’ Scherlock Holmes, or hard-boiled detective like Chandler’s Marlowe. What characterises Wallander is in fact his softness, that is his humanity. He makes unforgivable mistakes during his investigations; people die because of him. We often see him crying, overwhelmed by his emotions and, in this book, his stomach gets so upset by fear that he ends up relieving his bowels in the mist of action. These are characteristics that would be unthinkable in your normal crime-fiction novel. But in Mankell’s books, these weaknesses become strengths: they make Wallander a believable character. One in which any reader can identify himself or herself: when bullets fly, Wallander is petrified by fear; he is not a coward, but he – like all of us, probably – is not a Hollywood action-hero; he is so attached to that fleeting thing called life and knows so well that it takes just one single bullet to say goodbye to it for ever, that he is never afraid to be afraid, to show the effects of his paralysing fear when his life is threatened. For these reasons I enjoyed reading the book. The Dogs of Riga however is different than the usual Wallander’s novel. On the one hand that deserves some praise, on the other hand however that is also the book’s major weakness. Albeit the whole story is quite entertaining, the plot (involving Latvian freedom fighters, corrupted police officers, and drug smugglers) is at times quite weak, if not utterly unbelievable. True, it manages to keep the story going, but Mankell sounds often out of his own depths with the subject matter. These are uncharted territories, different than the ones he has been accustomed with in the other Wallander’s book. The author himself, in the afterword, clarifies that it was difficult for him to write about a context he is so unfamiliar with. He tries to solve the issue by unloading his uncertainties on Wallander’s shoulders and by making him question – far too many times – his own assumptions. We hear Wallander often sayi: what do I know about these people and this country? In this story, Wallander embodies much of the Swedish (and I dare to say European) point of view about the Baltic States when the mighty Soviet Union suddenly crumbled. What did we know about them? The plot in itself seems quite flawed. Throughout the pages of the Dogs of Riga we follow Wallander in his attempt to unmask a conspiracy that threatens the future existence of Latvia. The conspiracy is probably the weakest part in the book. The reasons behind the death of Major Liepa are never really clear; we never really know in details what he had found out that justifies his death. When Mankell finally explains it at the end of the book, one is left wondering how believable the plot is. The same can be said for the reason behind Wallander being summoned to Riga. Why would the Riga’s police need a Swedish inspector to work with them on a case that is wholly Latvian? At least the Major had a reason to go to Ystad: the two bodies were Latvian. But what is the reason for Wallander to spend six days in Riga, he doeesn’t even speak a word of Latvian and knows next to nothing about Latvian society. In a situation like this, it would be more likely for one of the Latvian police officer investigating the murder to fly to Ystad and questions Wallander about the Major’s last days: what had he said when he was there? Was there any sign of imminent danger? By the end, the reason becomes a bit more clear, but still it remains unconvincing. As that is the main mechanism to enable the story, I wished Mankell had worked out a better reason. Overall everything is quite one-dimensional, especially the co-protagonists, the two colonels and the Major’s widow – Wallander falls in love with the widow, but we are never really sure why. As it stands, Wallander’s feelings resemble more a teenage crush, than the love of a middle-age man. Notwithstanding these weaknesses, the third part of the book, when Wallander returns to Riga is probably the most interesting part: it centres totally on Wallander and his feelings; we are put in a vantage position to feel and sympathize with his fears; we care and fear for him. Will he succeed? We can never take it for granted. The final coupe de theatre is quite well written. The epilogue however is utterly unnecessary. I agree with your review. Another aspect of Wallender’s love for the widow that is irksome is his complete disregard for the woman’s feelings. She is in mourning and he thinks he can start a relationship. Also, the two dead bodies found in the lifeboat are problematic. 1. They are found with their arms around each other as if to ward off their inevitable death. Forensics has to break some of the bones to part the bodies. It is determined that they they were already dead when they were dumped in the lifeboat. Did the killers then rearrange their arms? I don’t think so. 2. The victims were shot in the heart. It is determined that they were shot without their expensive suit jackets that they were found in. Wallender and others wonder why the killers put the jackets back on the victims’ bodies. We never find out why and who cares? 3. The victims are executed and placed in a life raft. Wallender and others wonder why they weren’t weighted down and dumped overboard. This seems even dumber when the life raft used to set the bodies adrift is later determined to have been concealing the killers’ illegal drugs. Where is the editor in all this? thanks for the comment, no much more to add on my behalf, except: I totally agree with you. Nice review. Thanks for posting since I just finished the book and then the film and was looking for someone else’s reaction. I agree that the relationship with Baiba Liepa was underdeveloped and at some points the story strained credulity but I don’t completely agree with all of your and the other respondent’s comments so let me just set forth my points of difference. * SPOILER ALERT * The epilogue I thought was informative and I am familiar with the history of the period though less so with the Baltic countries. It gave the reader a “big picture” context in which to reflect on the story and Mankell was accurate in assessing the struggles that were ongoing at the time of his writing. Symbolizing these struggles via the two colonels was a bit simplistic but understandable as a good vehicle for fiction. And though it may be argued a weak reed, we find out that whoever put the bodies in the raft did so intentionally to send a message. In addition, we find out that Wallander was called to Latvia because of the power struggle between the two colonels who each wanted to locate the red folder and suspected that by following Wallander they would be led to it.